We offer complimentary valet on the weekend. Live entertainment on the weekends, and DJ. Full catering menu with an event planner. 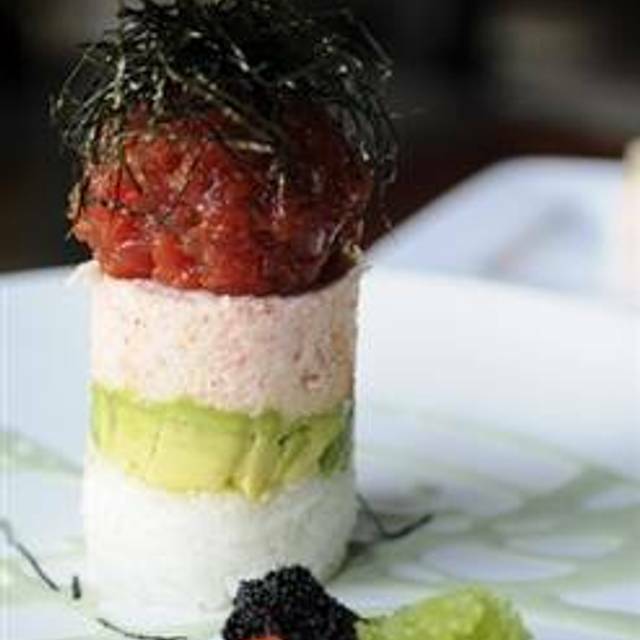 The Blue Fish serves the finest sushi, sashimi and rolls with an emphasis on quality and freshness. The Blue Fish also offers an array of Asian inspired hot dishes, salads and artisan desserts. Compliment your meal with uniquely crafted cocktails or with a selection of fine wine, sake and beer. 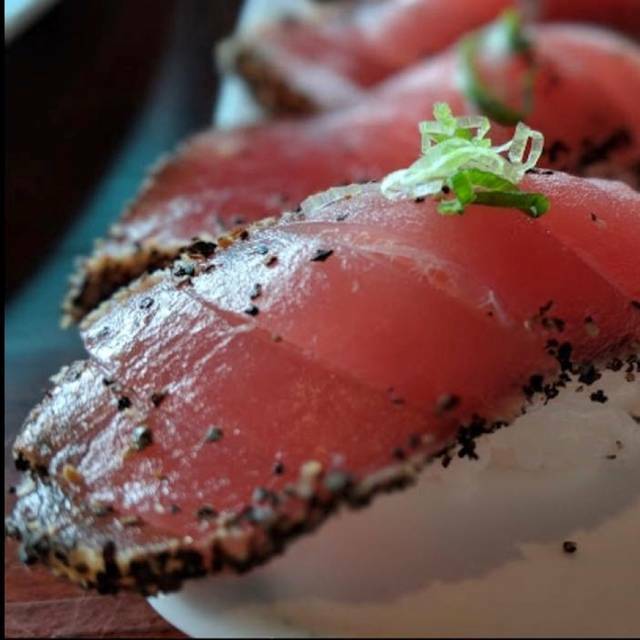 Exceptional service in a lively atmosphere gives guests an unforgettable experience that has made The Blue Fish an award-winning restaurant for 20 years. Served with miso soup and sauteed vegetables, choice of white or brown rice. Japanese lunch boxes filled with assorted specialties. All served with miso soup, salad, California roll, dumpling, assorted tempura, rice and orange. We went for sushi and none of it tasted fresh. Waitress was very nice though. Didn’t have the Cod. They were sold out, but everything else we ordered was really good. Everything was delicious from our ahi tower appetizer to the eel sashimi that our sweet server recommended at my request. So yum and such a fun environment! We will definitely be back!! Food was great. Very nice patio area and the server was great. Only issue was the hostess was rude when we decided to change to the patio. Seemed like we ruined her day. We got over her throwing stuff on the table and had a good experience thereafter. Went for my wife’s birthday. If you tell them there’s a birthday, they give the birthday guy or girl a free fried ice cream, which is delicious. This place has the best quality sushi rolls around. If you want quality and service come eat here. Love Blue Fish! Great food and service. Overall lunch was good. The only bad thing is was the all our main lunch dishes came out at different times. There were 4 of us and the first person was done with their meal by the time the last person received theirs. Not sure if that is a normal serving style there. Blue Fish-Allen always does a great job of having a table ready when we make a reservation. Whether we want inside or out, they are always ready for us. On this particular night, Watters Creek was packed full of people watching the outdoor concert and attending the arts fair. They still had a table ready for us and we appreciate that. Wait staff appeared to be overworked. Food did not come out on time or complete. Meat was slightly under cooked. We have been happy with our experience at this location previously so hopefully we can chalk this one up as a bad night for the restaurant. Very nice outdoor seating area. Food was average for the price. Really wanted to like this place more. Server did everything we asked, but seemed unhappy to be there. Inventive, interesting cocktails. Definitely going to try some other places in Watter's Creek now that we've seen it. 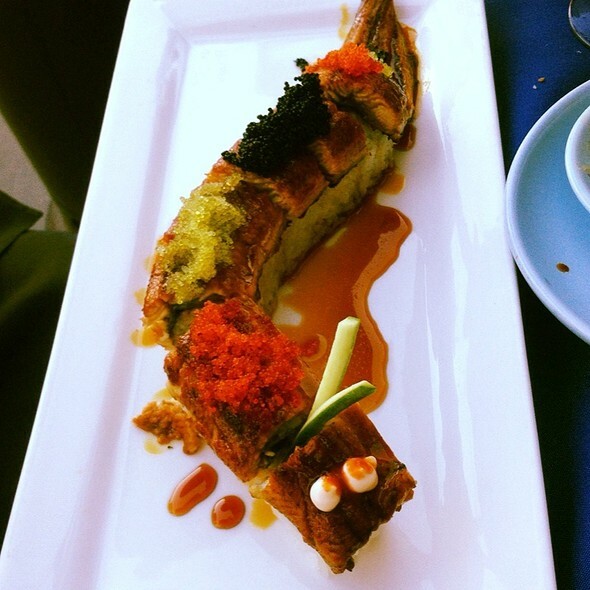 Love Blue Fish, but what did you change the Rock Manhatten rolls? Used to have sauces and now they are VERY dry. Good experience. The table was really small and the main courses came out right after the appetizer so it was hard to arrange things. Our server apologized for the timing. The food was very good, though, as it consistently is at this location. Excellent as always. Went early on a Saturday to avoid the crowd and the noise. First beer they brought for girlfriend was skunked. No big deal. After telling waitress we wanted no appetizers girlfriend ordered from small plate menu and I ordered teriyaki steak. They brought her food as an appetizer and 10 minutes later brought mine..cold. We picked at it for a bit as we finished beers and left. Extremely slow service for a not so packed house. Incredible annoying experience. We sat on the patio on a beautiful cool evening in Texas. There was access for our son to run around on a grassy area adjacent to the patio. our waitress Kirsten was excellent. It was for a French exchange student and he loved it which makes the meal all worth it. Unlike the Bluefish at 121, this location still cares about customer service and delivers excellent sushi every time. We frequent Blue Fish because of the great sushi. As always the food was excellent. 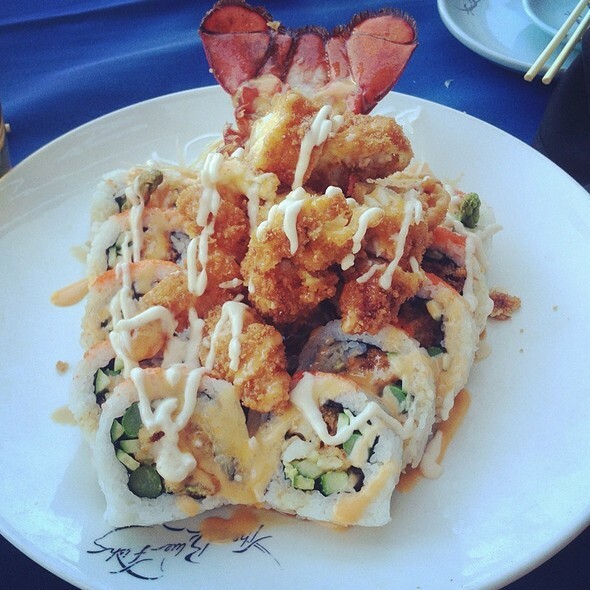 We got our normal Rainforest Roll but decide to add the Lobster Roll to our dining. Both were quite delicious. Our server, Sydney, remembered us from our last visit and also recalled some of the specifics (she remembered that I didn't like cucumber in my water). The service was outstanding. Thank you Sydney. I am an out-of-towner and was at the Allen Center when the urge for some sushi hit. A couple of people I spoke with recommended this restaurant and they were right! The sushi was fresh, the cuts generous and the sake fairly priced. The manager on duty made a nice recommendation of a neutral, non-floral sake which was delicious and complemented the fish. The only disappointment was that they had sold out of uni, one of my favorites. But everything else was so good! We shared nigiri and maki and every one was excellent. I wish I lived in this part of the country. A great sushi restaurant. This is the second time going to this restaurant. The first time was for Valentine's date. And my husband and I decided to make this a monthly thing. We live in the Colony, and there is one closer to us, however we like this one, in Allen because the entire staff is friendly. It's hard to find a restaurant were from the moment you walk into the door your entire experience is outstnding, but this place is a rare find. We like sitting outside, and our server was awesome! We are long time customers of Blue Fish. However we will not return. Our Valentines dinner was ruined. The menu has changed. They drop the wonderful filet and replaced it with an eatable sirloin for the same price. They were a four star restaurant to us now a two star restaurant. After complaining to the manager he did nothing to correct our meal. He only told us to contact corporate. Not good service. They have started going out of business. Too bad. Overall a great experience. Didn't like my over priced cocktail that much but the sushi was great! Blue Fish is an excellent restaurant. It's is primarily(overwhelmingly) a sushi place, but they have a couple of standard dishes that are great, like the Chilean Sea Bass. We also had their chocolate mouse cake that was to die for. Our server was exceptional, knew the menu, knew the food, and led to great choices. Only minor complaint, we dined there on a cold night, and were happy to be in the back away from the door, we thought. Then we found they have a "back door" that goes out onto the lawn area at Water's Creek, and there was a constant stream of workers, kids, people getting to-go that came through that door instead of the short walk around to the front, keeping a flow of cold air into the restaurant. 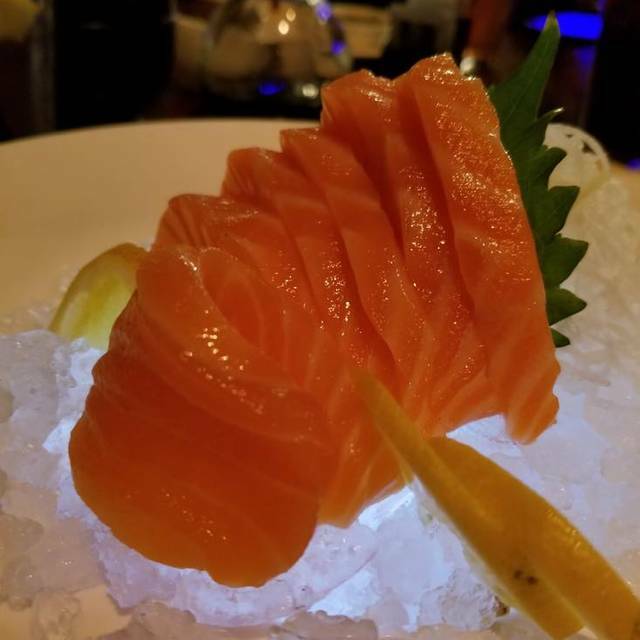 The sushi is always great at Blue Fish. This was my first time at the one in Allen. 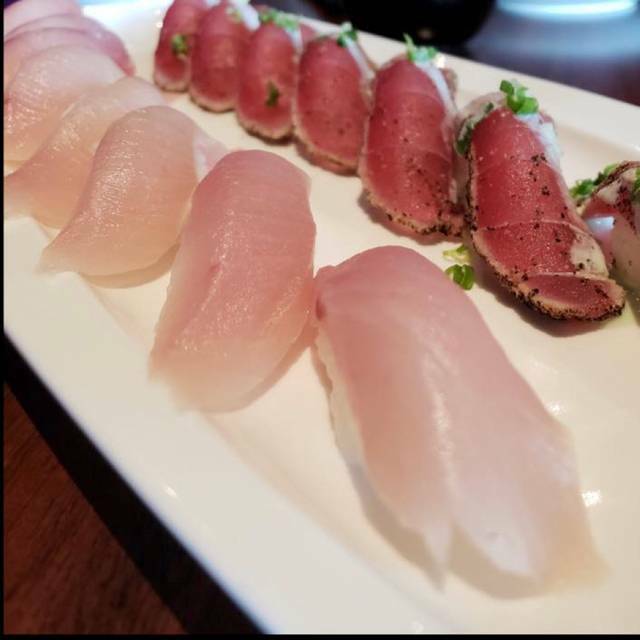 While my experience with Blue Fish is from he Irving location, this location did not disappoint. The food was consistent and the service may be even better. Our waitress knew when to step in and when to leave us alone to talk. The atmosphere is energetic and casual. We waited for 20 minutes for 2 drinks from the bar. One was a mixed drink and one was a glass of wine. We then continued waiting another 40 minutes for 2 sushi rolls and one came out incorrect. When we asked our waitress why it took 1 hour to get two rolls she replied the kitchen tickets were very long right now. However, a couple that sat down and ordered after us received their rolls before us and one was the same roll we ordered!!!! When the waitress was asked about it she again said it was the kitchens fault yet if she submitted our ticket when we ordered it would have been 30 minutes ahead of that waitress. Total dining time 1hr45 minutes for 4 sushi rolls total. And what's even crazier is we got the first two rolls that we ordered brought to our table AFTER the second ones were ordered. Our waitress probably forgot to put in our order and didn't own up to her mistake. The manager came by our table but was swiftly sent away by the waitress to correct the incorrect roll without him even speaking to us. 2 rolls and 1 drink later I spent $52 just on my portion of the food. To say it was a disappointing experience would be an understatement. Loved blue fish in Allen! Great service and great food! And love the whole ambiance. Had a great time and our server (Trish) was great. She made sure we had a great time for my daughter's birthday. Blue Fish has great food. Service was not the best but this is a great location. Love this place! Really great sushi for a great price. All very fresh. Food was excellent and delivered quickly to the table. Will visit again!